Need a little help walking? 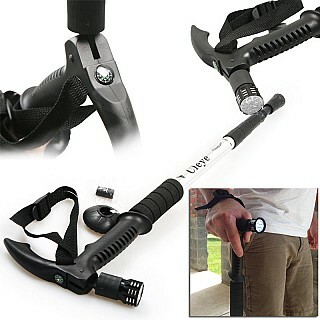 Check out this Anti-Shock Telescoping Walking Stick w/ 9 LED Light and Compass - $9.99 Ships Free! - I was looking at a similar walking stick the other day at Walgreens and it was over $25. Quantity discounts - One for $9.99 or Three for 24! 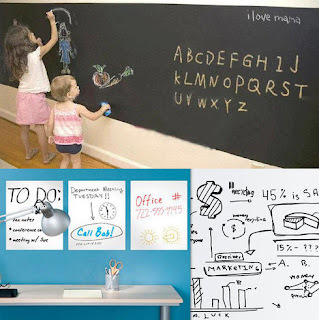 Get this 6-Foot Chalkboard or Whiteboard Wall Decal for just $7.99 (Retail $39.99)! Turn any ordinary wall into a fun writing surface with this easy peel-n-stick decal. Perfect for kids' coloring surfaces, grocery lists, calendars, weekly dinner menus and much more, the 1.5ft x 6.5ft decal can be cut into any shape and size. The decal sticks to any wall and peels off without any residue. 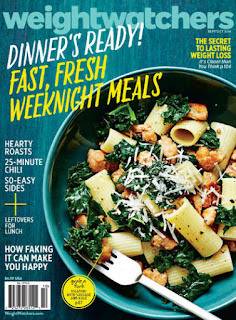 Today ONLY - Weight Watchers Magazine is just $2.97 for 1 Year Subscription, Use Coupon Code 15CJ0614 at checkout. Today is the last day to grab Father's Day Cards for $1.99 with code CAH5678 at checkout. I've found this is one of the most affordable ways to send a card, especially for those out of town family members. Stamp and shipping was only 49¢ for me. 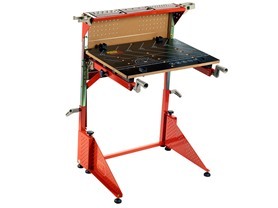 Right now you can get this Red Toolbox Kids Workbench for $89.99 (Retail $154.99). This Workbench is a great way for parents and kids to have the opportunity to spend valuable time together, while learning new skills. Kids can work on projects, and have their tools conveniently placed on this Workbench for easy access. 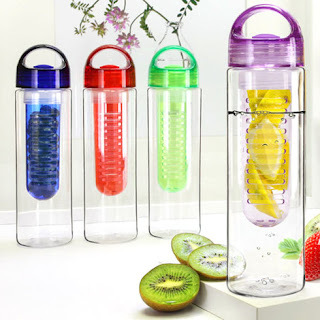 Hurry over and grab this Unbreakable Tritan Infuser Water Bottle for $6.99 (Retail $79.99). Shipping adds $1.99. Add a fresh fruit twist to your H2O. Fill the inside compartment of this unbreakable Tritan Water Bottle with your favorite fruit and enjoy at the gym, office, school, and outings OR mix you favorite "adult beverage" with fruit. This handy water bottle allows you to mix, blend and create unique fruit infused beverages. The built in infusion chamber holds fruits; such as lime wedges or strawberry slices, so the natural flavors and colors of your fruit can flow into your beverage. This chamber also keeps the fruit and fruit bits out of your way so you only get a nice refreshing sip each time. The entire bottle is built from durable Tritan plastic, which withstands drops and bumps as you tote it to work, around town, or to the gym. -Product Size: 10 × 2.75 in. 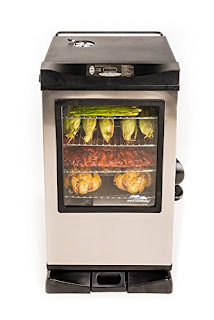 Head over and check out this Masterbuilt 20077615 Digital Electric Smoker with Window and Bonus Pack, 30" for ONLY $199 Shipped (Retail $399.95). Now that's a perfect gift for dad! 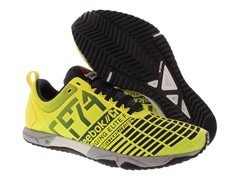 Check these Reebok Crossfit Shoes out for $55.99 (Retail $110). Available in Men's &amp; Women's. Head over and browse around for your favorite. Here's a HOT deal! 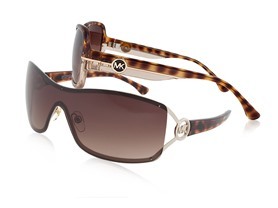 Today ONLY - Michael Kors Women's Sunglasses are $59.99 (Retail $200)! This item ships with all original storage/carrying case, cleaning cloth and manufacturer's documentation. Here's a fun deal! Celebrate the spontaneity of summer with your own Caralase Grab Bag! Let Caralase do the shopping for you and present you with a "mystery box" package that will include 2 tops + 1 bottom for a single payment of $12.99. While all items are randomly selected, we will honor your requested size and will NOT include any 2 of the same styles. Shipping $4.99 for the first item and $2.99 for each additional item. US only. Estimated to ship by Jun 23. Get this Intex 12ft X 30in Easy Set Pool Set for $74.99 (Retail $129.99)! -A 110-120 volt filter pump is included and is very easy to install- just hook up the hoses and enjoy clean refreshing water. -Ready for water in 10 minutes, – simply spread out on level ground, inflate the top ring, fill the pool with water, and enjoy the fun! -Includes: SUPER-TOUGH laminated PVC sidewalls. 110 – 120 Volt Filter Pump with 530 gallon per hour flow rate. Set-up and maintenance DVD. -Convenient drain plug that connects to a garden hose so water can be drained away from pool or house area. Water capacity: (80%) 1,485 gallons. -New dual suction outlet fittings improve water circulation resulting in better water hygiene and clarity. If you're looking for larger sizes prices are up to 45% off HERE.